Treatment outcome of quality of life and clinical symptoms in patients with symptomatic lumbar degenerative disc diseases: which treatment modality is superior? This was to assess the quality of life and clinical symptoms before and after treatment of patients with symptomatic lumbar degenerative disc disease (LDDD). It was also to determine the superior treatment for well-selected patients: conservative versus surgical treatment. We studied 160 adult symptomatic patients aged 31–60 years with diagnosis of LDDD who were enrolled between May 2016 and November 2017. Their pre- and post-treatment clinical symptoms and signs and quality of life were studied using the Oswestry disability index (ODI). The data was analysed using SPSS version 24. One hundred fifty-three adult patients aged 31 to 60 years completed the study. The male-to-female ratio was 1:1.5 while the symptom duration ranged between one and 14 years. The treatment modalities were medical (46%), epidural steroid injection (26%) and operative treatment (28%). The responses to the treatment were worsened symptoms (10.5%), no improvement (13.1%), moderate/slight improvement (27.5%) and significant improvement (49%). There were statistically significant improvements (p value < 0.05) in clinical symptoms, sign and ODI at six months after treatment. Surgical treatment was superior to all other form of care. 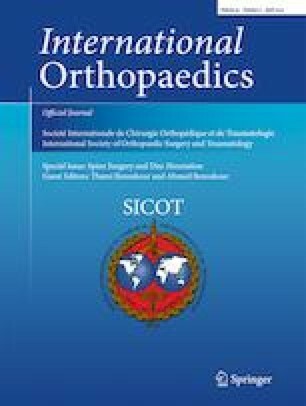 This study showed significant improvement in outcome among the participants in different treatment modalities with surgical treatment being the superior. We recommend surgical treatment for well-selected adult patients with symptomatic LDDD and assessment of quality of life and clinical symptoms before and after treatment. Approval to conduct the study from the Ethical Committee of NOHI was obtained before the study. Informed consent was obtained from all the participants in this study. All the authors fully participated in all the stages of the study and manuscript writing. We recommend that all patients with symptomatic LDDD should have pre- and post-treatment functional and quality of life assessments. It is a uni-centred study done in referral orthopaedic hospital where a fraction of the people in the community presents to. A multi-centred study or community-based study with a larger sample size will be more statistically significant for the conclusion. A longer follow-up period of the patients after treatment will show long-term effects of the treatment types.